Washington, Jan 30: The tension between USA and Venezuela was raising every day. “Let me reiterate, there will be serious for those who attempt to subvert democracy and harm Guaido” warning from Trump’s national security advisor John Bolton is another attempt to stop Venezuelan crisis. Bolton stated that “Serious consequences’ if any harm comes to Venezuelan opposition leader Juan Guaido. 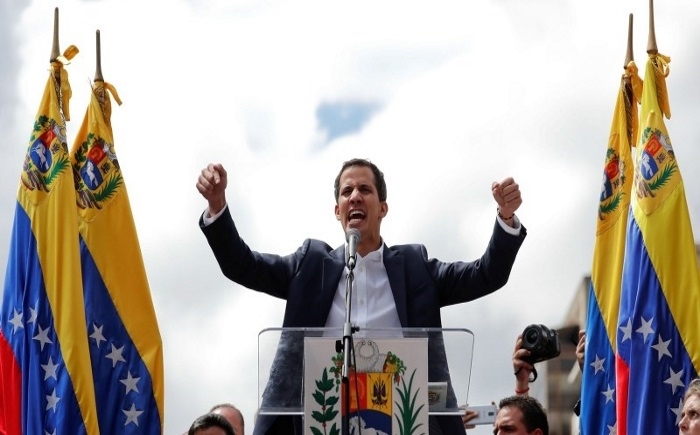 The Warning has followed the Venezuelan Government move against interim President Guaido, seeking a travel ban and freeze on his accounts, while state-run oil company PDVSA sought to sidestep US sanctions. The US decided to give control of Venezuela’s US bank accounts to Guaido, excluding Maduro from accessing the funds. Guaido has arisen as the face of increasingly organized opposition to Maduro, who holds the loyalty of the armed forces, as well as backing the funds. The US is recognizing Guaido and has handed him control of Venezuela’s US bank. The strengthening ties between the Venezuelan Opposition leader and the US is only hope for limiting the Venezuelan crisis. The Secretary of State Mike Pompeo’s new envoy Elliot Abrams is working in Venezuela actively. The meeting between Assistant Secretary of State for Western Hemisphere Affairs Kimberly Breier and Guaido is held on Tuesday. The main aspect of the meeting is “to discuss next steps in support of #Venezuela’s democratic transition. We stand united with all seeking democracy”. Earlier, the State Department advised US citizens to keep clear of Venezuela, citing "crime, civil unrest, poor health infrastructure and arbitrary arrest and detention of US citizens."